CLINIQUE anti-blemish solutions cleansing foam is a mild foaming cleanser which helps to clear and prevent acne, and is Step 1 Cleanse of the CLINIQUE anti-blemish solutions 3-Step System. This mild cleansing foam helps clear and prevent acne. This cleansing foam removes dirt and excess oil, unclogs pores, calms, soothes and reduces the look of redness within the skin. It leaves the face feeling soft, smooth and comfortable. CLINIQUE Step: 3 Step, Step 1: Cleanse. Clinique Cleansers and Makeup Removers Anti-Blemish Solutions Cleansing Foam 125ml / 4.2 fl.oz. 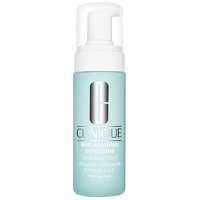 CLINIQUE anti-blemish solutions cleansing foam 125ml was found on 5 websites and was price compared using EAN: 0020714291822. 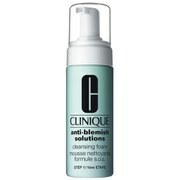 The cheapest CLINIQUE anti-blemish solutions cleansing foam 125ml is shown as the main item, prices range from £15.95 to £19.00, excluding delivery. Price comparison based on price and delivery charges, with any valid discount codes being applied, is shown in the table above. Prices and information correct at the time of publication.